ST. GEORGE — A Hurricane man was arrested in Mesquite, Nevada, last week on four felony counts of selling and trafficking methamphetamine. 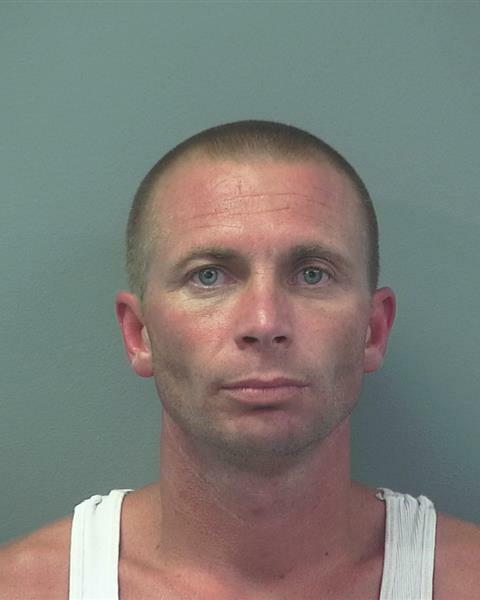 Mesquite Police narcotics detectives Thursday concluded a methamphetamine distribution investigation involving an alleged drug dealer from Hurricane, according to a statement issued by the Mesquite Police Department Monday. The alleged drug dealer was identified by police as 33-year-old Cyril Gubler. Gubler was arrested and charged with two felony counts of sales of a controlled substance (meth) and two felony counts of trafficking a controlled substance (meth). Due to the felony charges, Gubler was transported and booked into the Clark County Detention Center in Las Vegas, Nevada.